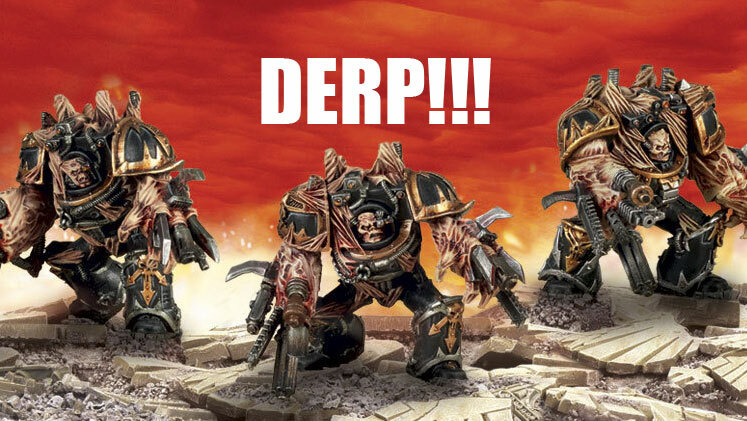 I like the idea behind the Chaos Marine Obliterators I just dont like some parts of the figures (mostly the derp faces and guns). Today I will show you how to make them a little bit more presentable. The only easy way to fix the Obliterator figure is to start with the new finecast ones. This will make your conversion a hundred times easier. Instead of using the factory heads I used some spare grey knight paladin heads. All you have to do is cut off the neck and behind the 'ear muff' portions then fit them in place. You may need to trim the bottom of the neck armour on the body. The guns are the worst part of the kit in my opinion. They make the whole figure look cartoony. I just drilled out the gun mounting ports and now I have something that better represents the lore. The idea behind them being that they bring out the one they need when they need it. "The monstrous warriors of the Obliterator cults are a blasphemy against nature and Machine God alike. Obliterators are capable of not only absorbing weaponry into themselves, but also of manifesting munitions from their titanium-laced flesh." Well that's it for now, hope you enjoyed this article. If you have any questions feel free to ask. 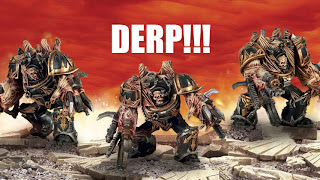 Labels: 40k, 6th Edition, Chaos legions, Chaos Marine Obliterators, Chaos Marine Sorcerer, Chaos Space Marine, Games workshop, GW, Obliterators, Warhammer 40k. what about(if you are feeling froggy)using neodymium magnets to place the appropriate barrel in place during game play? more a question than a suggestion. I actually thought about that, but decided its too easy to lose pieces.